Hi all, I’m Alexandra Foley, and we found out in March of this year that my stepdad, Ron Hockett, has pulmonary fibrosis. It is an incurable and progressive disease which eventually causes extensive scarring of the lungs and ultimately, respiratory failure. The only real treatment is a lung transplant. He is a patient at Duke hospital and since they live here in Charlotte NC, he and my mom will have to relocate to Durham for about a year. I’m hoping to raise funds to help with their relocation expenses during this difficult time. Ron is an incredibly talented and well known jazz musician and needs his lungs to continue not only to live his best life, but also to play the wonderful music that he loves and is truly his life’s passion. He has played jazz since he was a child, his main instrument being the clarinet. He played professionally with the US Marine Band as principal saxophonist for over thirty years. 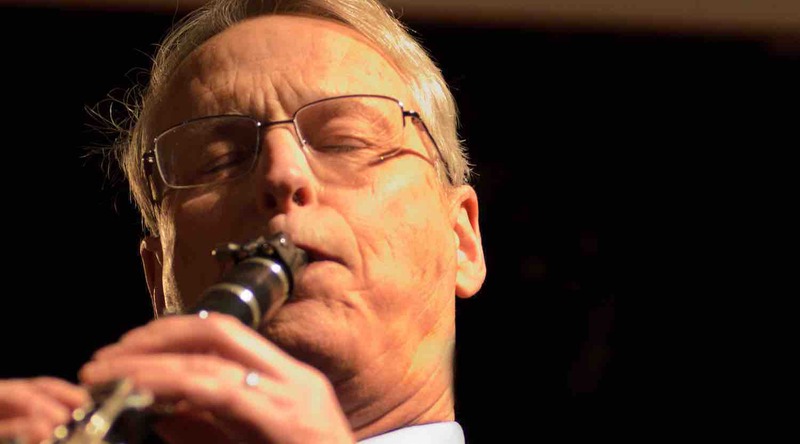 Post retirement, he took a position as clarinetist for the Jim Cullum Jazz Band in San Antonio. He played with them for twelve years six nights a week on the gorgeous San Antonio Riverwalk. His music has brought great joy to so many and he’s traveled to many countries with not only the Marine Band, but the Jim Cullum band as well. We want him to be with us and continue playing, utilizing his incredible gift. He means so much to so many, and especially to our family. I will be attaching some links to his biography and performances through the years. Thank you everyone for your generosity and kind words!This is “Memories of You” from Ron’s album. Hey all, thank you SO MUCH for all of your generous support! Enjoy Sunny Side of the Street!